If you care for a sweet raw food treat, here is one: Fruity ice-cream. Simply fold layers of blended frozen bananas and mixed berries. It’s unbelievably delicious! 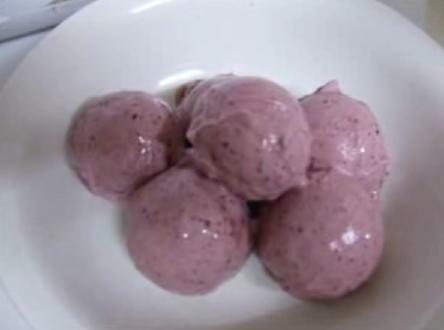 Alternatively, blend frozen bananas with blueberries for a blueberry flavored ice-cream. The possibilities are endless. How to freeze bananas? Peal the skins, break into smaller pieces for easy blending, put in a plastic bag and into a freezer for at least a day or so.